A clean sweep of individual titles at the 2017 Bolivarian Games staged in Santa Marta, three weeks following his success in the northern Colombia city, Ecuador’s Alberto Miño added to his list of titles. On Thursday 14th December he won the Men’s Singles event at the 2017 South American Championships in the Argentine capital city of Buenos Aires and thus secured the title for the third consecutive year. The top seed, at the final hurdle he beat the host nation’s Gaston Alto, the no.2 seed (11-8, 11-6, 11-3, 13-11), the player against whom earlier this year the 27 year old from Guayaquil had experienced defeat at the quarter-final stage of the Pan American Cup in San José, Costa Rica. “I’m really excited and happy about this result. Because, to be honest, for me it is extremely hard to improve, to find a place to practise, to find a coach who can help me. In general to live out of my country. As you know, we have so many difficulties in every aspect and most of the time my family and the people close to me Gustavo Ulloa, Oscar Sanchez and Rafael Armendariz have tried to help me as much as they can. That’s why I feel even more satisfied with this result. I’m really happy at the moment but I want to continue improving, because my main goal is to qualify to the Olympic Games in Tokyo 2020, and I want to give all my best to make that dream come true. Defeat for Gaston Alto but there was success, he partnered colleague Horacio Cifuentes to victory in the Men’s Doubles event, the pair accounting for colleagues Pablo Tabachnik and Nicolas Galvano at the final hurdle (11-9, 12-10, 12-10). Gaston Alto and Horacio Cifuentes thus justified their top seeded position in the competition; Pablo Tabachnik and Nicolas Galvano commenced play in the no.3 seeded position. Notably, the win meant that only the Men’s Singles title eluded Horacio Cifuentes. Earlier in the proceedings, alongside Gaston Alto, Pablo Tabachnik and Nicolas Galvano he had been a member of the Argentina gold medal outfit in the Men’s Team event. Three titles for Horacio Cifuentes, it was the same number for Daniela Ortega. On the concluding day of play, the no.6 seed, she caused somewhat of an upsets by beating Chilean colleague and top seed, Paulina Vega, to don the Women’s Singles crown (7-11, 11-9, 11-7, 2-11, 16-14, 5-11, 11-8). Earlier in the tournament in partnership with Paulina Vega and Judith Morales, she had struck gold in the Women’s Team event prior to securing the Under 21 Women’s Singles title. Disappointment for Paulina Vega and there was further disappointment on the last day of play for the 33 year old Chilean; partnering Judith Morales and occupying the top seeded position in the competition, the duo experienced a close five games reverse in the Women’s Doubles final. They were beaten narrowly by the Argentine combination of Camila Arguelles and Ana Codina, the no.2 seeds (11-6, 11-8, 8-11, 11-13, 11-9). 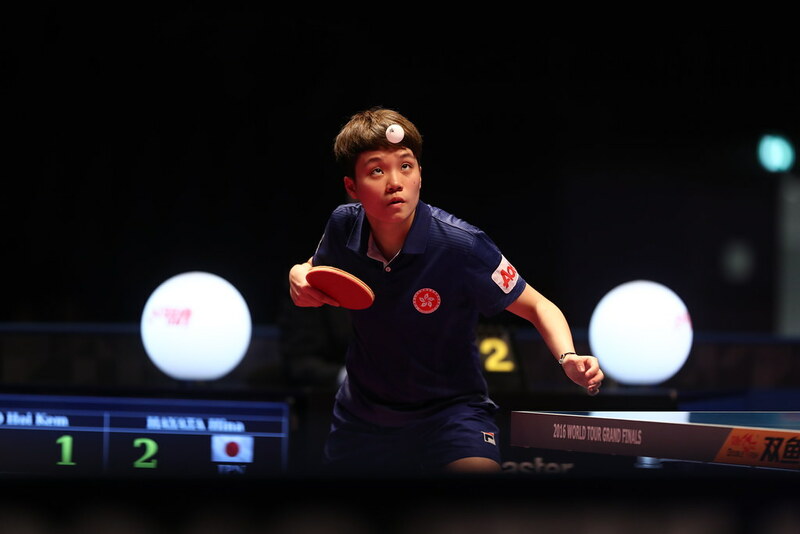 Gold for Camila Arguelles and Ana Codina who in recent times have proved a most worthy combination; on the GAC Group 2015 ITTF World Tour they were the runners up in both Santiago and Buenos Aires.